What a wonderful Fall we had here in PEI and still not any arrival of snow but maybe tomorrow, as the chilly Northwest winds have arrived. The month of December will soon be upon us and in PEI that means the beginning of the Christmas party season. Clyde River will have their community Christmas Party on Tuesday, December 4th at 7:30 pm at the Riverview Community Centre. Whether you live in or love going to Clyde River events, you are welcome to enjoy the warmth of our hospitality. 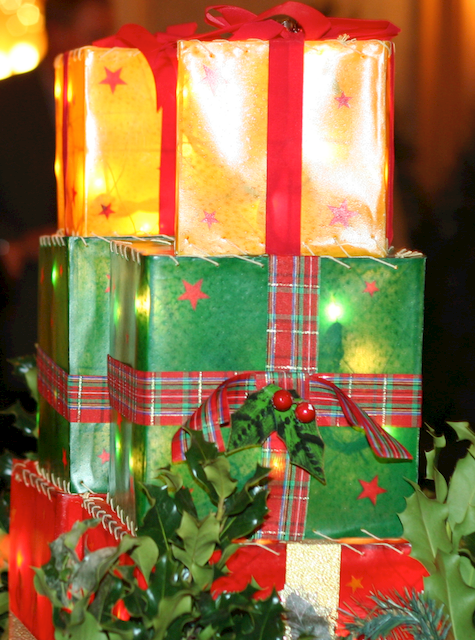 Other than bringing along your Christmas spirit, you can choose to bring along a gift (value of $5) for an exchange. Men are to take gifts for men; women take gifts for women. There will be music, carol singing, skits, games, some tasty food and overall a grand time. The Women’s Institute are participating this year in the White Cross Christmas Gift Campaign. This campaign was established in the early 1960s by the Canadian Mental Health Association, PEI Division. If you wish, you can bring along a small, new, unwrapped gift of a personal item e.g. shampoo, cosmetics, socks or gloves. The Clyde River W.I. will arrange to drop off theses gifts at the White Cross Program office in Charlottetown. Gifts will be given to those who may not otherwise receive one this season. On the evening of our Christmas Party, we will be selling tickets to win a 3′ x 2′ gallery photo of Clyde River featured on the front cover of the newly launched photo book, Landscape of Memories. Tickets are $5 each. Also, if you have not yet had a chance to purchase the book with 170+ full-colour photos of our community and you wish to give it as gifts this season, there will be books available for sale at $25. So find a touch of red in your wardrobe and come on out to celebrate the Christmas season with your friends and neighbours.